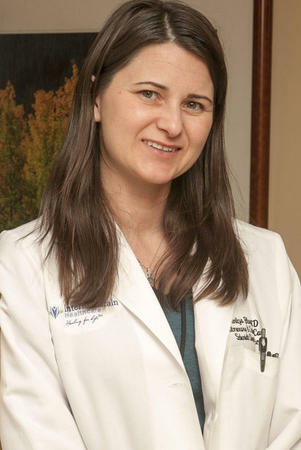 Denitza P. Blagev, MD is a Girl Driver and a Pulmonary & Critical Care physician practicing in Salt Lake City. She is an Assistant Professor (Clinical) of Medicine at the University of Utah. She finished her Pulmonary & Critical Care Medicine fellowship and third year of Internal Medicine residency at the University of California, San Francisco, and the first two years of residency at Beth Israel Deaconess Medical Center in Boston. She went to medical school at New York University School of Medicine and graduated from Yale University with a degree in Biomedical Engineering. If you would like to get an email in your inbox when a new post is up, please add your email address to follow this blog. It won’t be sold or otherwise shared. Please note that despite my affiliations, the views expressed in this blog are my personal views and not representative of the University of Utah or any other organizations with which I may be affiliated. Additionally, to protect patient privacy, identifying patient details have been changed (e.g. names) or omitted. All posts are copyright Denitza Blagev unless otherwise noted. I am a practicing pediatrician (since 1975) in SLC. Interested in the notion of case conferences you describe. Thanks! Here’s a link to the organization. My Friend is from Milton Hospital in Boston, but they have them in over 300 other hospitals. http://www.theschwartzcenter.org/ (unfortunately, they deleted all my links when they published the editorial).